Low blood pressure is a result of a weakened cardiovascular system. Exercise can help relieve low blood pressure. Severely low blood pressure can lead to a potentially life threatening condition of shock. Low blood pressure or hypotension is the lesser known cousin of high blood pressure or hypertension. Although several people suffer from low blood pressure, somehow the focus is always more on high blood pressure. So, what is hypotension? The human body has a definite ‘normal’ blood pressure. A drop in this pressure is called hypotension or low blood pressure. In this condition, the heart pumps the blood through the arteries with lesser power than it normally does. 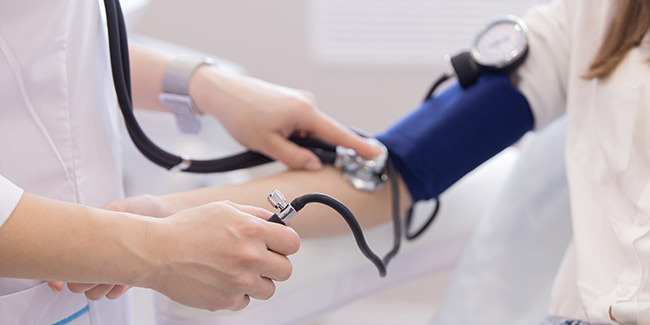 Usually, low blood pressure is a result of a weakened cardiovascular system. A pressure of 120/80 mm Hg is considered normal and optimal for good health. If the reading is 90/60 or lower, then it is considered to be low. Many times people who suffer from low blood pressure experience spells of dizziness and fainting, and are likely to suffer from serious heart, endocrine or even neurological disorders. 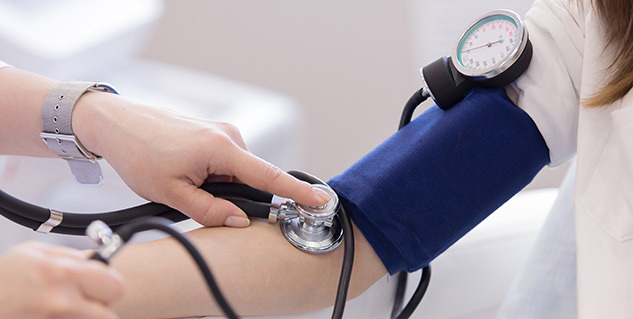 Severely low blood pressure can deprive the brain and other vital organs of oxygen and other nutrients, leading to a potentially life threatening condition of shock. Says Dr. Arpanaa Kumar, Delhi based independent medical practitioner, “Patients who suffer from low blood pressure are advised to drink lots of fluids in order to replenish the electrolytes in the body.” She advises the consumption of lot of juices, and recommends coconut water or lime juice with sugar and salt. “It is good to eat lots of high water content fruits like melons,” says Dr. Kumar. Smoking and drinking are a strict no-no and you may want to stay away from caffeine as well. Exercise is another important thing that can help relieve low blood pressure. Walking, jogging, swimming are all highly recommended to help ease hypotension. “It is important to keep exercising to improve circulation and get your blood pressure back to normal,” says Dr. Kumar. A last piece of advice she gives is to increase the amount of salt in your diet.